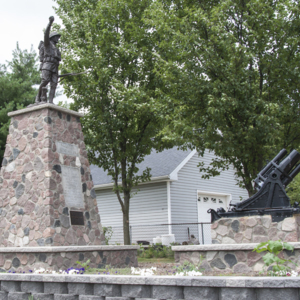 This E. M. Viquesney Doughboy depicts a WWI soldier gallantly striding forward with a rifle held low in his proper left hand and a grenade raised high above his head in his proper right hand. 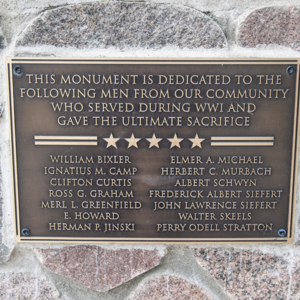 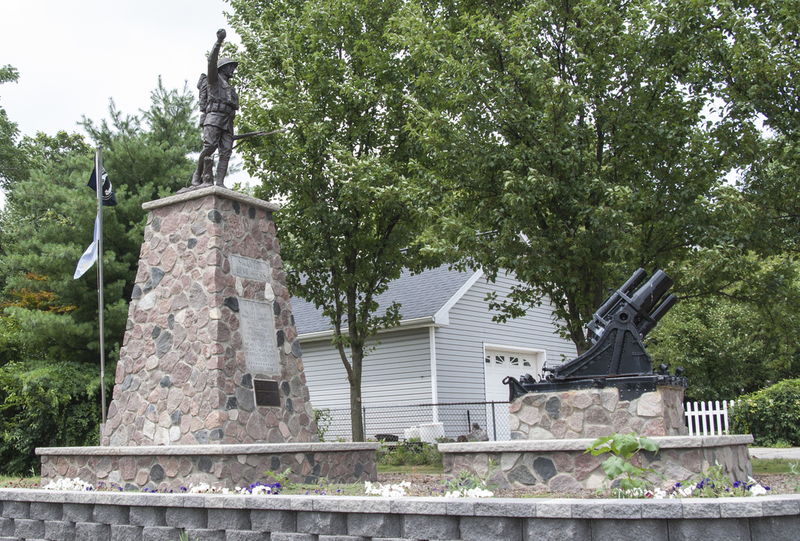 This monument is the only WWI memorial one presented to an American town by a foreign government. 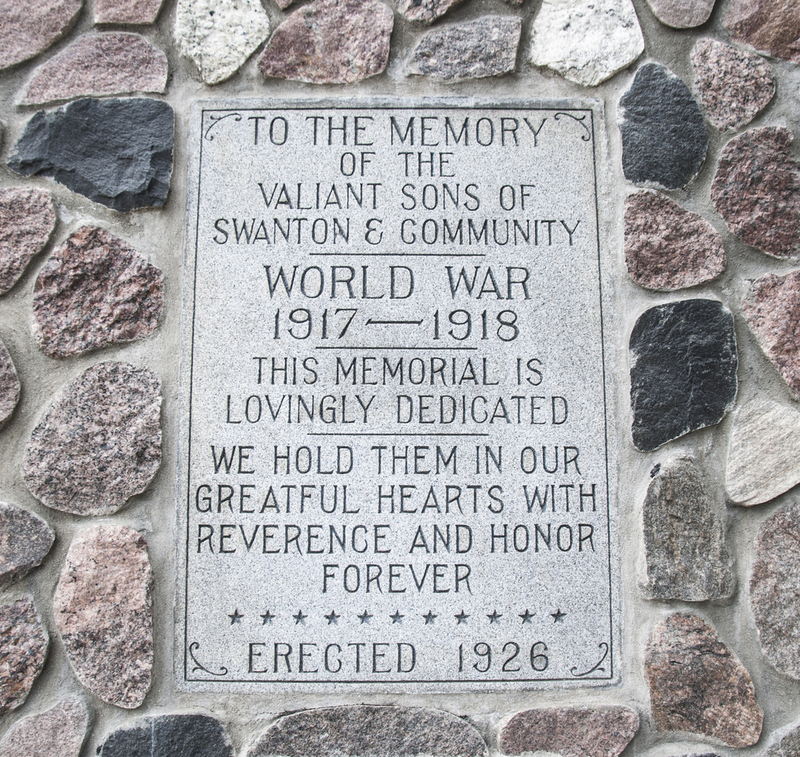 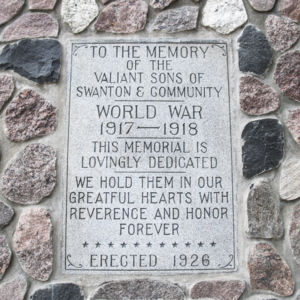 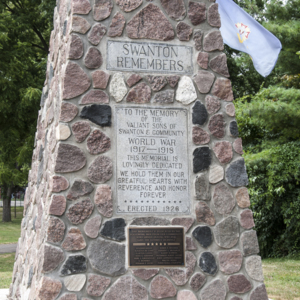 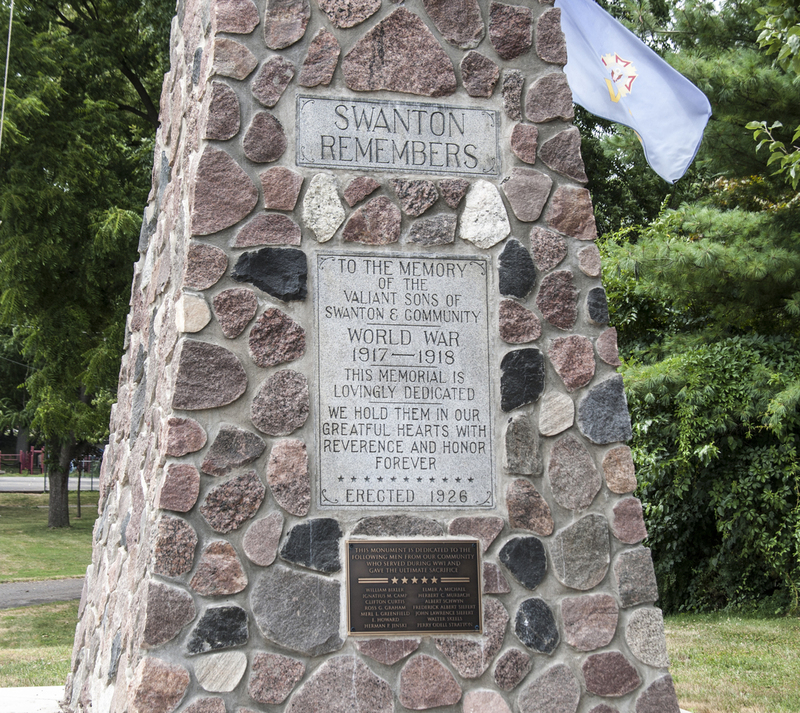 It was a gift of the French people in recognition of the proportionately high number from Swanton who gave their lives (12 of the 250 who served). 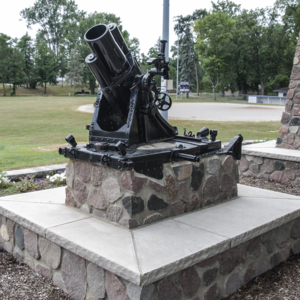 The Doughboy’s rifle was removed in 1983 after continuous vandalism. 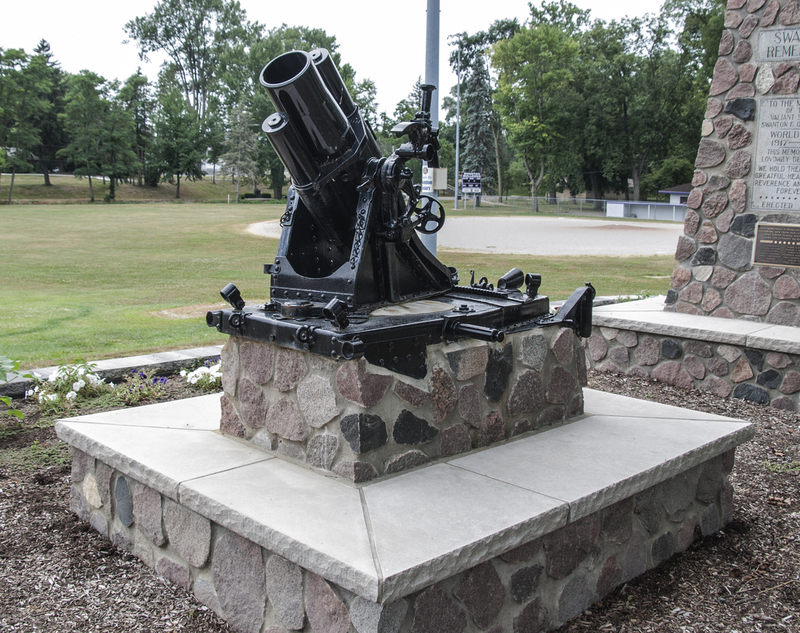 After the statue was restored in 2015 the gun was replaced. 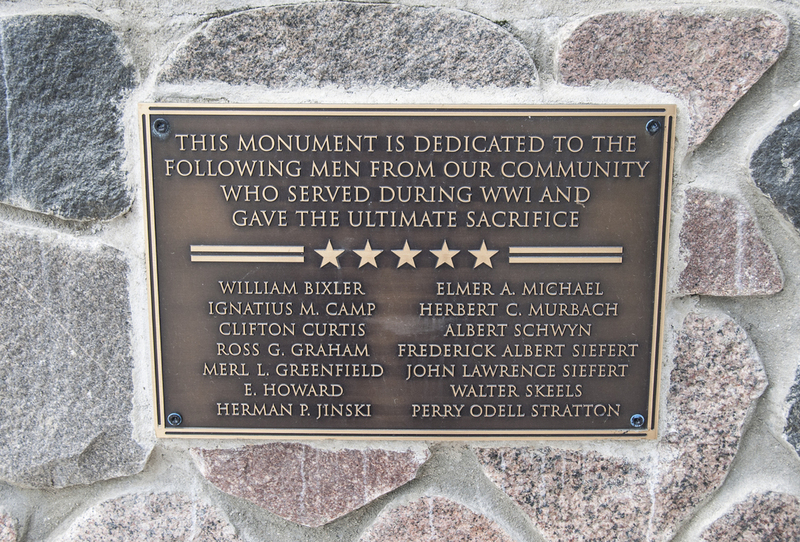 A coat of gold paint was applied at that time of original installation, but after most of it had worn away the rest of the paint was removed during restoration. 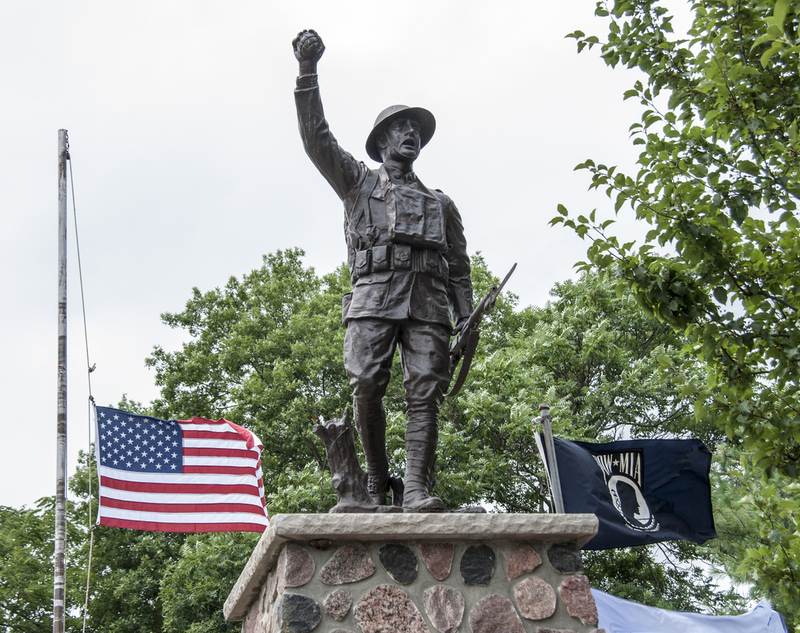 The restoration took place by Georgio Gikas of Venus Bronze Works, Detroit, MI. 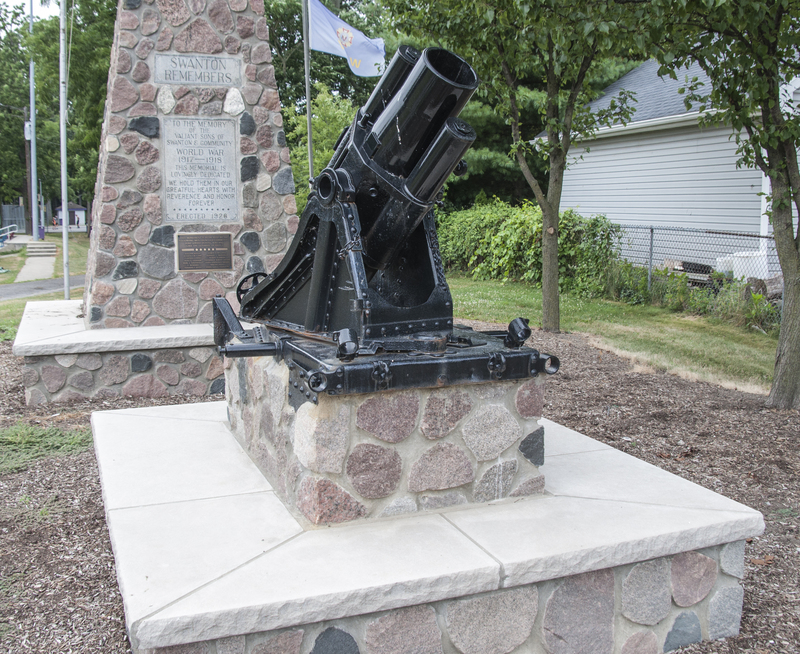 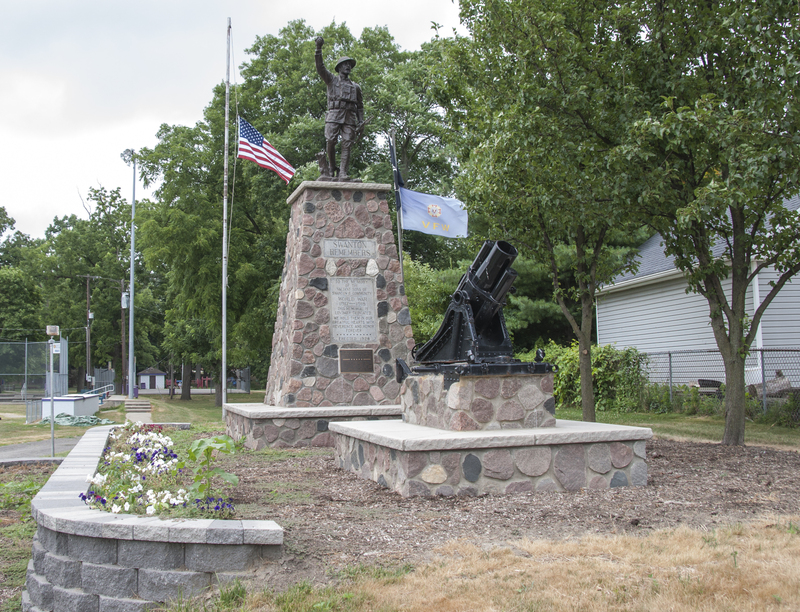 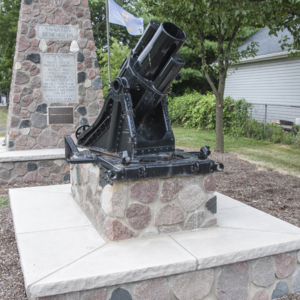 The cannon on a base in front of the Doughboy is a captured German World War mortar that was a gift of the U. S. government prior to the Doughboy’s arrival. 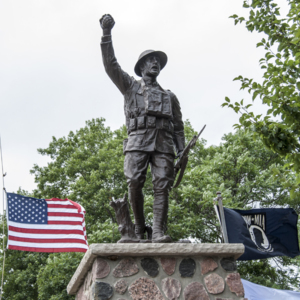 : E. M. Viquesney, “Spirit of the American Doughboy,” Ohio Outdoor Sculpture Inventory, accessed April 18, 2019, http://oosi.sculpturecenter.org/items/show/1548.